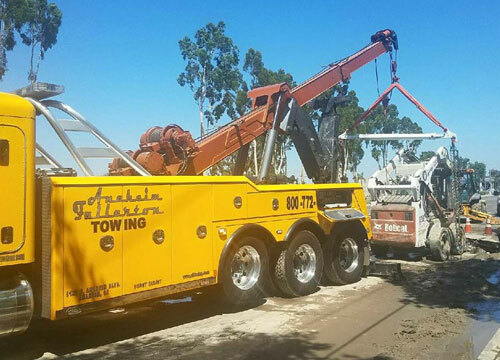 At Anaheim Fullerton Towing, we are dedicated to delivering the most reliable, responsive, and efficient towing and recovery services in Southern California. For over five decades, we have been providing local motorists, municipalities, city agencies, trucking companies, and emergency services with exceptional, reliable service they can count on at all times of the day or night. 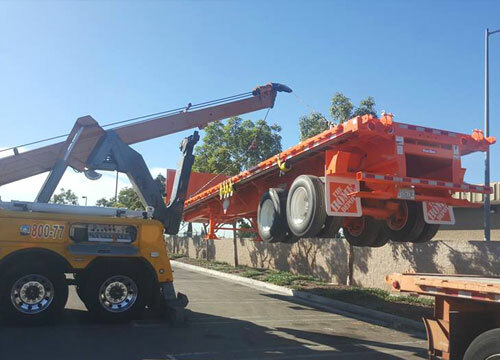 Our highly skilled operators are certified by the California Tow Truck Association, and have between 8-25 years of hands-on experience each. They always use the industry’s best practices to ensure that your vehicle or cargo arrives at its destination safely and securely. 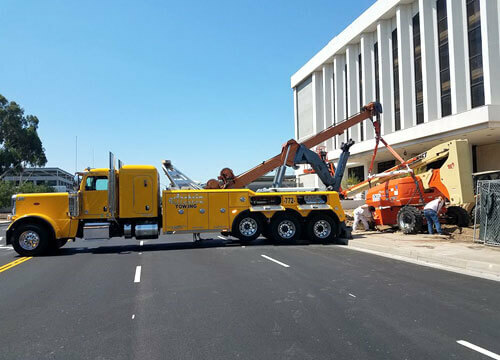 In addition, we are licensed by the Federal Motor Carrier Safety Administration (FMCSA) for interstate towing, and hold long-term towing contracts with the City of Anaheim, City of Placentia, Cal State Fullerton, California Highway Patrol (CHP), and the California Transportation Authority (CTA). Our medium-duty tow trucks and flatbed trailers are the most versatile trucks in our fleet, and are designed to tow and transport a wide variety of vehicles such as cars, ambulances, plumbing vans, SUVs, trucks, tractors, trailers, buses, limousines and antique autos. We also specialize in moving construction equipment, machinery, sweepers, heavy trucks and extra-long vehicles. 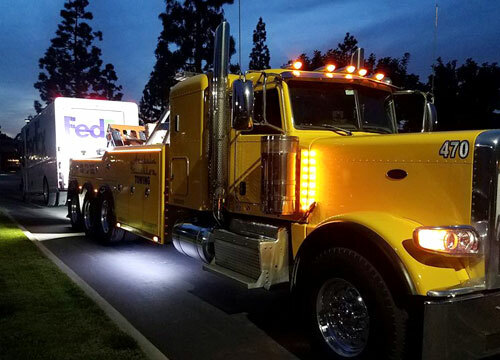 Whether you need a one-time tow from Vegas to Long Beach or regular commercial towing from San Diego to Los Angeles, we have the highly trained staff, state-of-the-art equipment, and professional knowledge to provide the best towing services to suit your needs. We offer around the clock towing services throughout Southern California. Towing can be arranged through our in-house dispatch center. Our professional dispatchers stand ready 24 hours a day, 7 days a week to assist you in finding the most cost-effective solution for your towing needs. We provide service locally, in the state, regionally or cross-country. Contact us today for a free consultation and estimate. 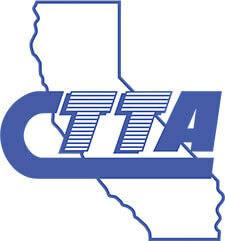 The best Tow company in O.C.available 24/7, industries top professionals.